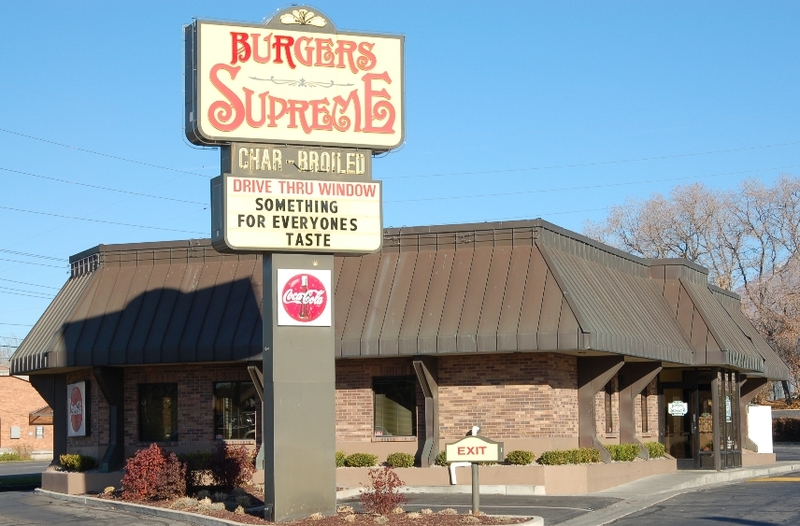 Stumpy Burger is located on Center Street in Provo (225 West to be exact) and is like no other burger place around. For starters there are toy raccoons everywhere (there is a reason) and the outdoor theme makes you wonder what you’ve just stepped in to. 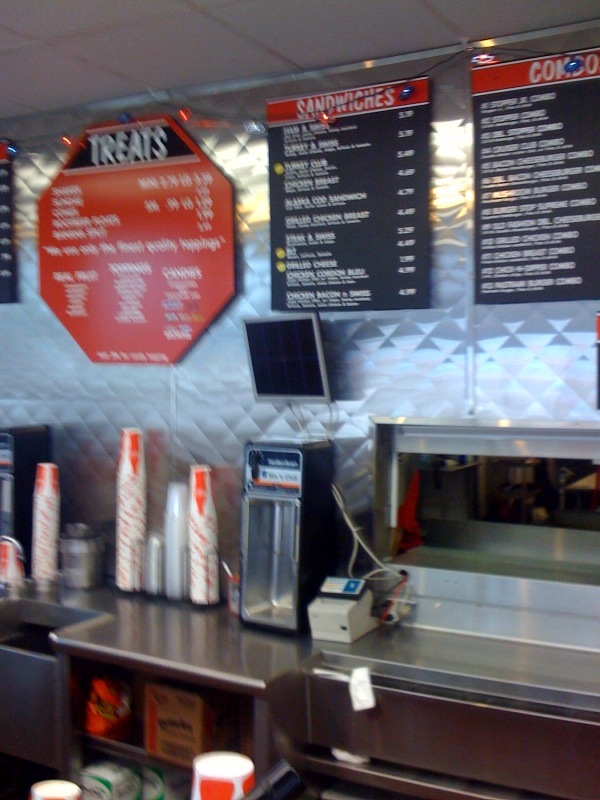 The menu however brings you right back to burger lover heaven. 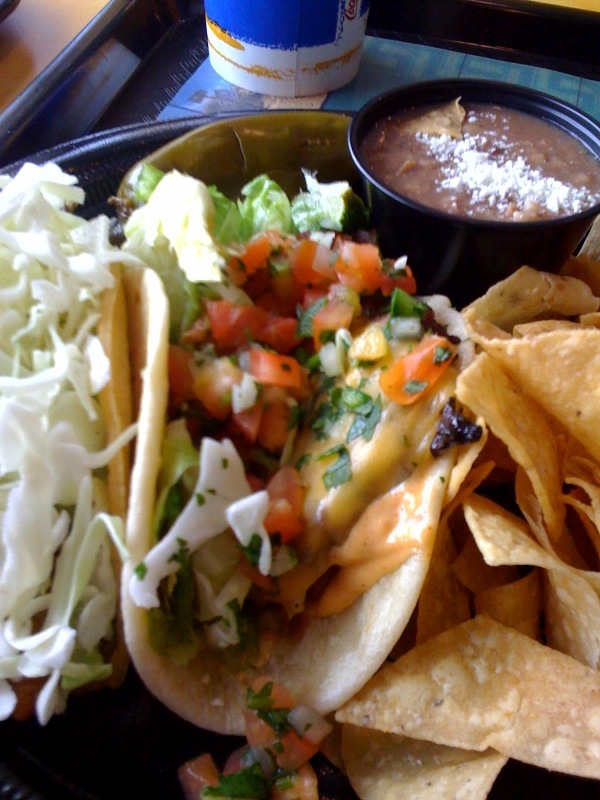 Here are the main options: The Bandit (1/4 lb. burger), The Stumpy (1/2 lb. burger) or The Double (1 lb. burger). If that doesn’t scream, this could be good, than I don’t know what does. The key to Stumpy Burger is in three main ingredients. First, Fresh Meat. They don’t believe in patties. Each burger is scooped from the fresh ground meat so when you order a Stumpy it’s at least a 1/2 lb., but probably a little more. You definitely taste the freshness! Second, Red Sweet Onions. You can have them raw or grilled but a Stumpy Burger always needs onions. Thirdly, Dill Pickles. If you are a pickle lover than the Stumpy burger is for you. 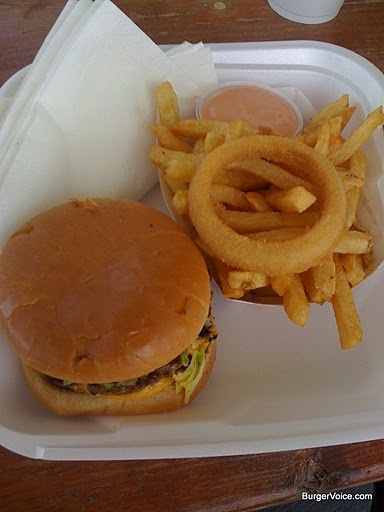 In Stumpy Burger’s own words the dill pickles and red onions help to bring out the flavor of the meat which is the whole point of a burger. 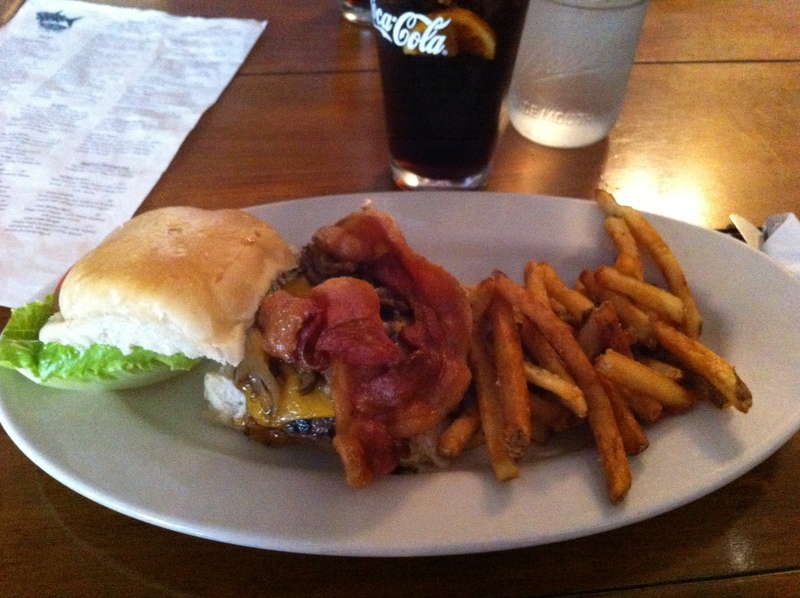 So now to the burger itself. 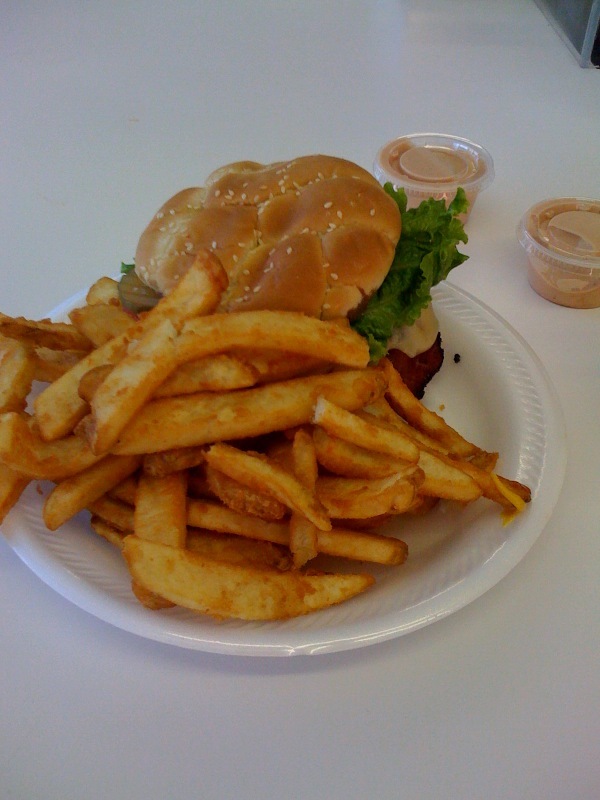 As this was my first time at Stumpy Burger I had to go with the Stumpy Combo (roughly $10). I went with grilled onions and Pepper Jack cheese. The fries are 1/4 inch suckers and are amazingly thick and delicious, “premium” is a good way to put it. 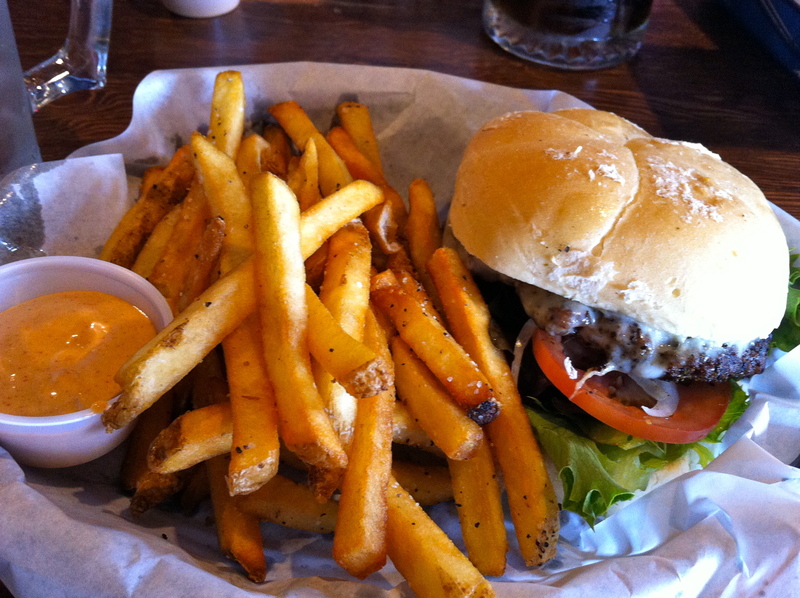 The burger is amazingly fresh and when you get it with your fries you can tell it’s going to be something special. 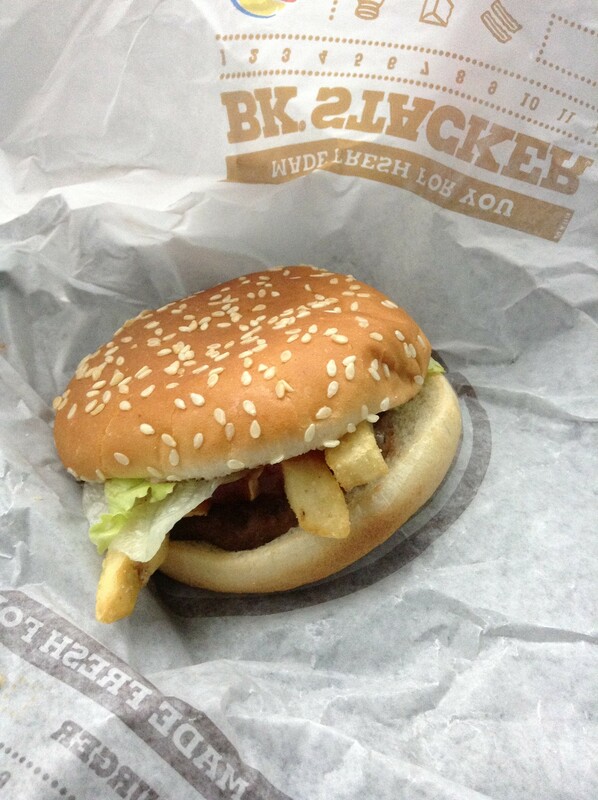 The bun is pretty good as well but nothing special. The whole meal really works well. My first bite was a pleasant burst of fresh meat, dill pickles (at least 2 slices), onions and cheese. It really, really worked! For the next bite I added their signature Stumpy Sauce which is a combination of mayo, cayenne pepper and a little other goodness. It doesn’t give a kick to the burger but more of a nudge and although you could taste it, the sauce didn’t take away from the burger at all…in fact, it made it better. The primary takeaway was simple. 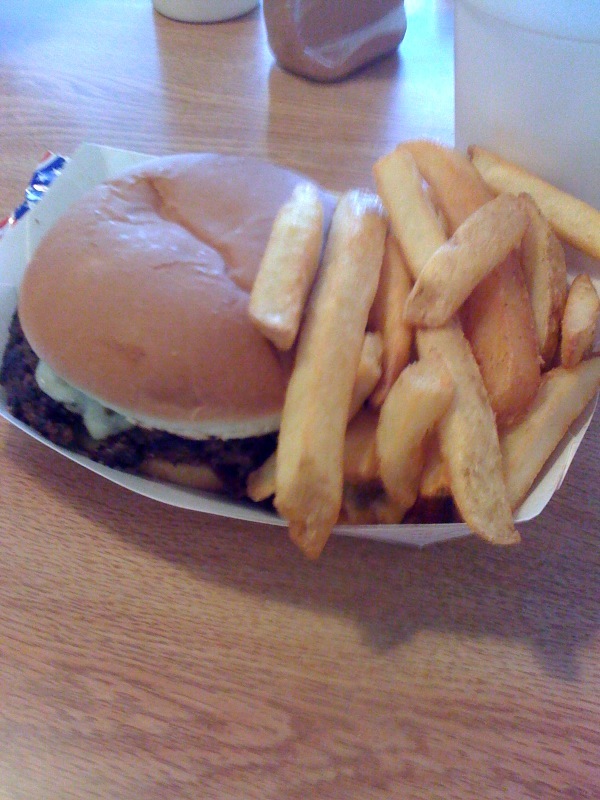 A Stumpy Burger isn’t a typical hamburger. You can’t get tomato or lettuce and it doesn’t taste anything like a traditional burger. A Stumpy Burger isn’t a burger, it’s a Stumpy Burger. 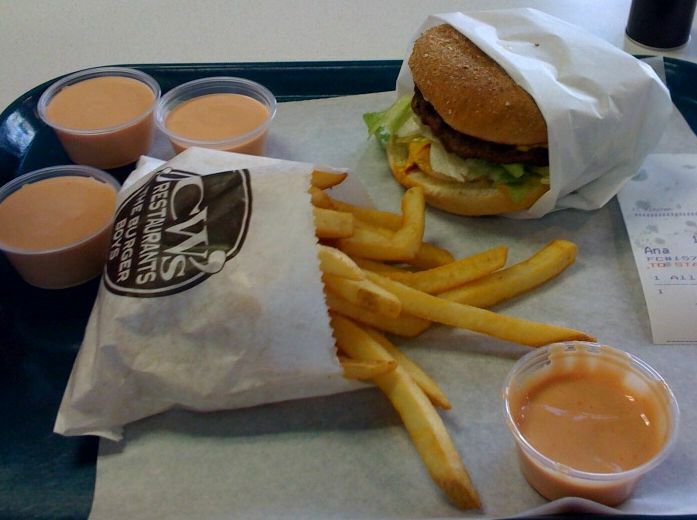 Their fry sauce is also very unique. It’s not sweet or tangy, instead it’s smokey and flavorful which makes it the perfect match for the whole meal. Apparently when they first opened about 6 months ago they started with “regular” fry sauce but since nothing else on their menu is “regular” they made the fry sauce their own as well. 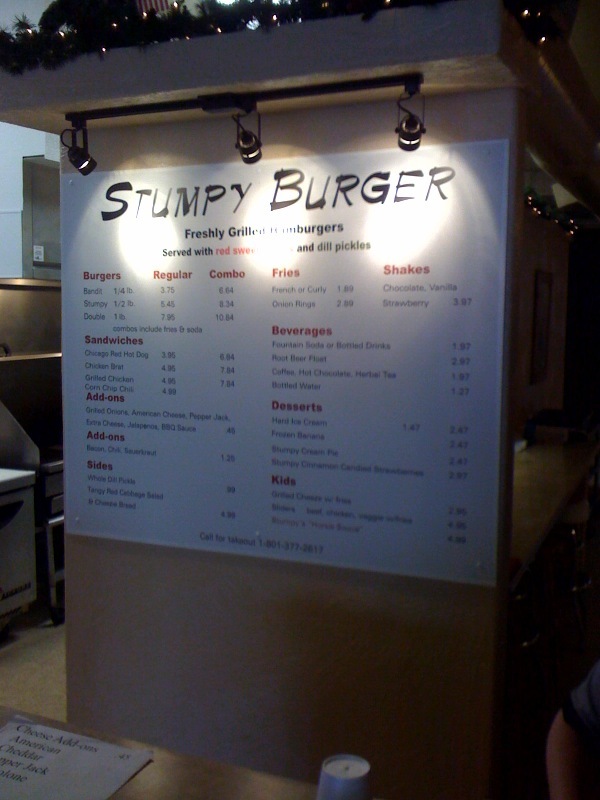 Overall the Stumpy Burger experience was a great surprise and it really isn’t a hamburger….it’s a Stumpy Burger (which means delicious onions and plenty of pickles). The service was fantastic and personal. 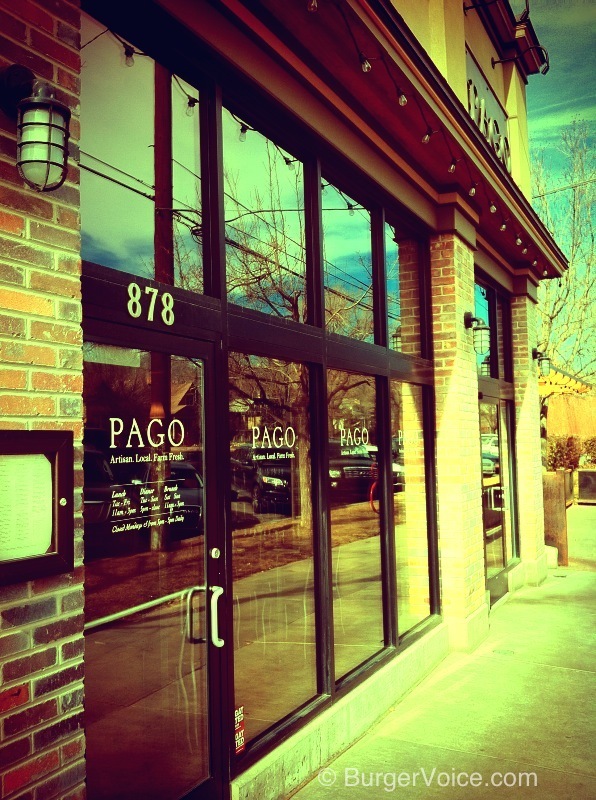 The food was fresh and relatively fast and they even have Apple Beer on tap. Directions are below. So, so sad. 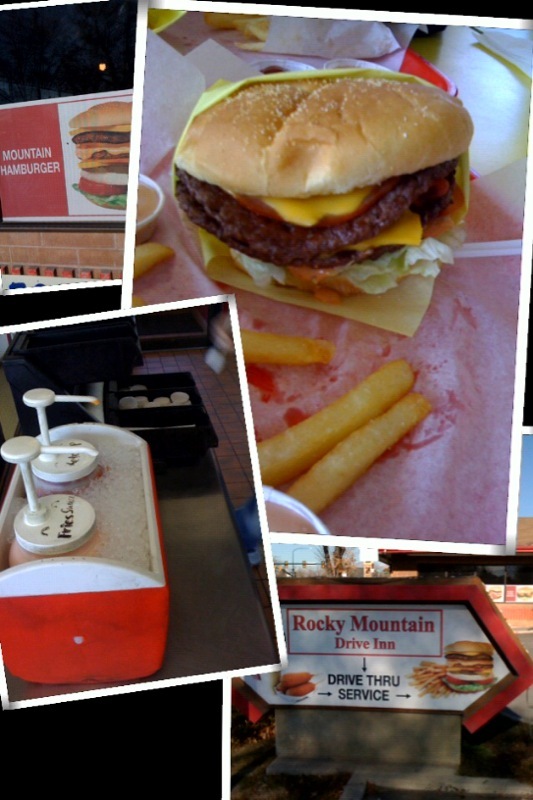 Hopefully everyone that wanted a Stumpy Burger got to try at least one.